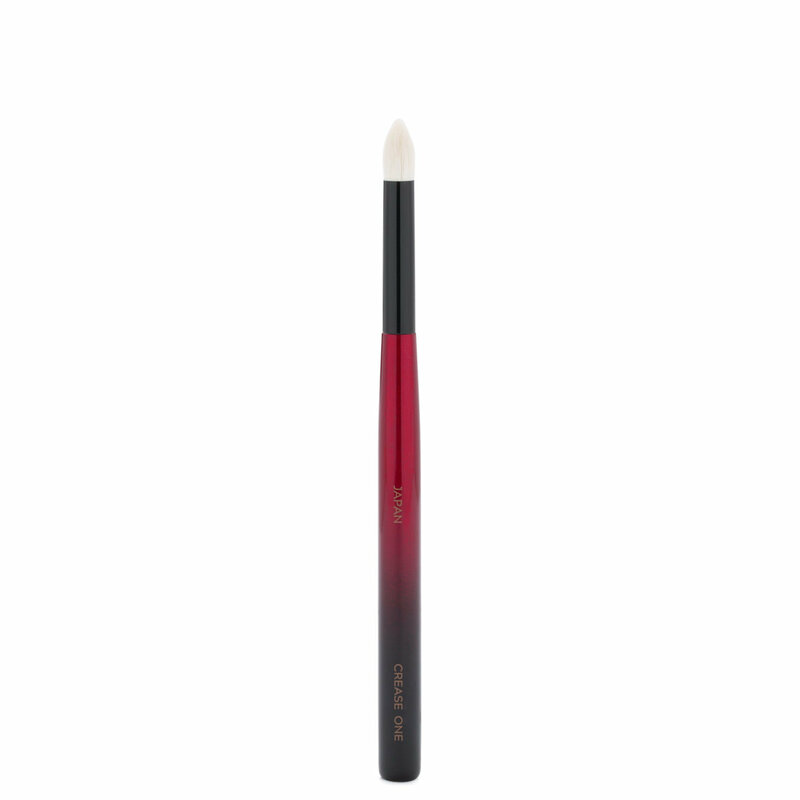 Designed to conform to the curves of the eye, this velvety-soft crease brush offers even, targeted application into the crease without scratching the delicate skin of the eyelid. The dense natural bristles blend and soften as you go, so you’ll never leave behind harsh edges. Crease One has been updated with undyed saikoho goat hair for more even placement of pigment. “I wanted to design a crease brush that would target intensity where I need it. It's pointy, but the sides and tip are dense, so it does a great job at depositing and blending pigment.” — Sonia G.
Roll the brush over powder eye color and tap off any excess. Place the tip in the hollow of the outer crease and apply color in short back-and-forth strokes. Extend the length of the strokes as you go. I am so in love with this new Crease One brush, of the 2 new brushes that just came out, this one was the one I wanted most. I can't get over how this brush is so much more stable than the first Crease On brush, I wasn't all the way on board with that one and sure didn't use it as much as all the other crease brushes, this new one I certainly will. It has precision, control, yet works all the way thru in the crease. I love it most for inner corner work, it is small enough to get in that little inner area, but has the stability of laying down color, which the first one I had issues with. This brush is so soft, so sturdy, 2 opposite characteristics but it has both! You can get a nice tight crease if you desire but can also blow the crease out, another perfect addition to the collection. This brush can be a stand alone brush, you can use it for smudgework, lining, laying color down and all the above already mentioned. I can't wait to play even more in the upcoming weeks, this brush has endless uses, only your imagination will keep you finding uses for it! !